One: Eat more fresh fruit and vegetables—and make sure they’re organic. This New Year’s resolution is multi-faceted, dealing with the health benefits of eating more produce while avoiding exposure to pesticides. Eating fruit and vegetables is generally healthy for you, and a study published in 2013 in the American Journal of Epidemiology shows that it can reduce the risk of death! Specifically, the study showed that daily consumption of fruit and vegetables can decrease risks of mortality by 10 percent, and delay mortality by 1.12 years. Researchers also found that for every 200 gram increase of produce consumed, risk of death goes down by 6 percent. Interestingly, there was a stronger correlation between longevity and eating fresh fruit and vegetables than for cooked produce. When you’re choosing your vegetables and fruit, make sure they’re organic! This year it’s especially important to reach for organic produce. This is because in 2013, the Environmental Protection Agency (EPA) raised the permitted tolerance levels of glyphosate residue in many fruits and vegetables. This is especially worrisome, because 2013 also saw several studies documenting troubling health associations with glyphosate exposure, such as estrogenic activity that could induce breast cancer cell growth, gut bacteria changes, and many other modern diseases. Two: Balance your omega- 3 and omega-6 fatty acid intake. Balancing your omega-3 and omega-6 fatty acid intake is important because omega-3 fatty acid deficiencies can have negative health consequences, including inflammation, higher risk of heart disease, weight gain, depression, and diabetes. Healthy omega-6:omega-3 ratios are low, around 2.3:1, but unhealthy diet trends have increased that ratio to between 10 and 15:1. One of the most ground-breaking studies of 2013 showed that drinking organic milk plays an important role in balancing unhealthy omega fatty acid ratios. Specifically, researchers found that organic milk contained 25 percent less omega-6 fatty acids and 62 percent more omega-3 fatty acids than conventional milk, yielding a 2.5-fold higher omega-6:omega-3 ratio in conventional compared to organic milk. The study also took a look at how adult women could alter their diet to increase their consumption of omega-3 fatty acids. Researchers found that by consuming high levels of organic milk with reduced intake of omega-6 fatty acids in their diet, women could decrease their omega-6 to omega-3 fatty acid profile by around 80 percent! The soil is a part of our Earth that does not get a lot of attention, yet is a critical component of the health of our agriculture and natural ecosystems. Eating organic can help improve soil quality by building organic matter and supporting the soil micro biome. This has been supported by several studies to come out in 2013. For example, a study published in Crop Management showed that long-term organic management resulted in 40 percent more biologically active soil organic matter as well as lower acidity and higher amounts of carbon, nitrogen, potassium, phosphorous and calcium when compared to conventionally managed soil. Another study, published in the journal PNAS, showed that intensive land use can reduce the biodiversity of soil organisms and can have a negative impact on nitrogen and carbon cycling. Finally, researchers at Kansas State University published a study showing that the use of conventional fertilizers can decrease soil macro aggregate stability, which is a key indicator of soil structural quality because it affects how resistant soil is to erosion and how well water is able to move through the soil. When you choose your food in 2014, it will be important to think not only about how the chemicals you are exposed to affect you, but also the effects your exposure might have on future generations. New research in 2013 has shown that it is possible for your descendants to be affected by the chemicals that their ancestors were exposed to, even if the future generations were never directly exposed to the pollutants themselves. This concept of disease inheritance is one of the most interesting (and frightening) new phenomena to be discovered in the past few years. An example of this was described in a study published in 2013 that showed DDT exposure could increase rates of obesity several generations down the line. Researchers in the study exposed rats to DDT, and found that it caused an increase in dramatic fat accumulation and weight gain three generations later. Keep in mind that most of the studies examining this concept have focused on animal tests, so the conclusions don’t necessarily translate to humans. However, it’s probably a good idea to avoid toxic pesticides so that we don’t inadvertently pass on environmental diseases to our children and grandchildren! Studies published in 2013 suggest that the use of synthetic pesticides may be contributing to the decline in amphibian populations. Amphibian populations have seen a dramatic decline in the past decade. Many scientists are worried that several species of frogs could go extinct in the next few years if we don’t change our agricultural practices. Even frogs living in remote areas are exposed to toxic pesticides, according to a 2013 study published in Environmental Toxicology and Chemistry. Unfortunately, pesticide exposure can result in increased amphibian mortality, and even low-dose exposure can result in endocrine disruption. These effects were modeled by a 2013 article published in Scientific Reports. When the researchers modeled agricultural spray scenarios using the recommended application rates for the pesticides, they found that frogs experienced high mortality, ranging from 100 percent after one hour to 40 percent after seven days. Concluding that pesticides may have a large-scale negative effect on amphibian health, they stated, “Terrestrial pesticide exposure might be underestimated as a driver of their decline.” The researchers called for more attention to this issue in conservation efforts, and pointed out that risk assessment procedures in place do not protect this vanishing animal group. In 2013, the Center for Disease Control (CDC) released a report detailing the threats of antibiotic-resistant diseases on the public. One of the factors contributing to antibiotic resistance is the broad application of low doses of antibiotics in rearing animals. About 80 percent of all antibiotics sold are used in livestock facilities, and antibiotic resistance has been linked to this use of antibiotics in conventional animal rearing. Many people are infected with antibiotic strains of bacteria each year, which can be especially dangerous to children. Studies have also found that because organic management does not use antibiotics, antibiotic-resistant strains of bacteria are less prevalent in organically produced milk, eggs, and meat than conventionally produced products. Several studies this year have supported the claim that conventional livestock operations are more risky when it comes to antibiotic resistance. For example, one study by researchers at the Johns Hopkins Bloomberg School of Public Health found antibiotic-resistant bacteria associated with industrial livestock workers, but not antibiotic-free livestock workers. The U.S. Food and Drug Administration has responded to these concerns by announcing its commitment to phasing out the agricultural use of antibiotics, but currently one of the only ways to ensure your animal products are antibiotic free is by choosing organic! Unfortunately, 2013 saw a continued trend of bee population decline. Many gardeners, farmers, and community members have been concerned by this because, without bees, many important crops would disappear, such as apples, almonds, blueberries, cherries, avocados, and oranges. Some of the awareness campaigns addressing honey bee loss have been especially poignant, such as the pictures of a Whole Foods Market in Rhode Island that pulled all bee-dependent fruit and vegetables off its shelves for a day, revealing a near-empty produce department. One of the most recent studies examining honey bee population declines showed that a combination of insecticides and fungicides can have a negative impact on bees’ immune systems, resulting in decreased ability to resist infection by the parasite Nosema ceranae implicated in colony collapse disorder. Researchers found that the pollen bees collect to feed to their larvae contained an average of nine different pesticide contaminants, and made bees three times as likely to be infected by the parasites. There have also been several studies about neonicotinoid pesticides and their toxicity to bees. Neonicotinoids—a type of pesticide often applied to seeds—become systemic throughout the growing plant. Bees are exposed to the chemical through air seeding of fields, which creates neonicotinoid dust clouds, through drops of sap on the outside of plants, and in corn syrup (often fed to overwintering bees) created with conventional, neonicotinoid-treated corn. This class of insecticide has been held responsible for massive bee die-offs, and researchers continue to document proof of these chemicals’ toxicity to bees. For example, research in 2013 published in PNAS examined the molecular mechanism of how neonicotinoids affect bee immune function. They found that even at low levels of exposure, neonicotinoid pesticides can harm honey bee immune systems. This, in turn, allows for bee infection, resulting in high levels of parasites and pathogens. This research supports a number of studies showing harmful effects of neonicotinoids on bee populations. The Xerces Society also published a report in 2013 detailing the effects of neonicotinoid pesticides on bees. The paper, entitled “Beyond the Birds and the Bees,” provided a comprehensive review of the growing body of research on harmful effects that neonicotinoids have on beneficial insects, and made recommendations on how to protect beneficial insects. One of the best ways to support the bees is to eat organic, so make sure you choose organic fruit and vegetables when you are browsing the grocery store isles! Dead zones are low-oxygen zones in the ocean caused primarily by nutrient pollution from synthetic fertilizers. Oxygen levels in these areas are so low that most aquatic life cannot survive, creating an area devoid of life. They affect large areas of the ocean, especially in the Gulf of Mexico and Chesapeake Bay, and have been growing in size since 1985. In addition to being environmentally devastating, Dead Zones affect commercial and recreational fisheries and can hurt the local economy. The Chesapeake Bay Dead Zone, for example, threatens a multi-year effort to restore the Bay’s water quality and enhance its production of crabs, oysters and other important fisheries. In 2013, researchers found that excess nitrogen is impacting the Mississippi River and worsening the Gulf of Mexico’s Dead Zone. These scientists found record levels of nitrogen in the watershed, driven by a combination of drought from 2012 and high rainfalls from the spring of 2013. Nitrogen is making its way into the waterways from synthetic fertilizer spread on conventional farms, polluting local aquatic areas and eventually contributing to the Dead Zone in the Gulf of Mexico. Measures of the 2013 Dead Zone found that it had doubled in size from 2012, likely due to nitrogen and phosphorus pollution run-off from agricultural sources. One way to reduce the amount of nitrogen polluting our waterways is by choosing organic. The Organic Center is currently conducting a project quantifying the amount that organic production decreases nitrogen pollution. Preliminary reports show that organic vegetables and grains contribute over 50% less nitrogen pollution than produce grown conventionally! Climate change will continue to be a major concern in 2014, and researchers have been focusing on ways to mitigate the issue. Some of the work done on this subject in 2013 suggested that organic production may be a key part of reducing greenhouse gas emissions. For example, a study from Germany showed that organic farming not only produces less greenhouse gases, but also uses less energy than conventional farming techniques. The benefit of organic is especially apparent in dairy farming, as the organic farms in the study emitted around 200 grams less CO2 per kilogram of milk than conventional farms with the same milk yield. Another study, by Professor Dalgaard of Aarhus University, showed that conversion to organic from conventional farming typically results in lower total fossil energy use and reduced greenhouse gas emissions. Finally, a 2013 research study by the Research Institute of Organic Agriculture (FiBL) showed that organically managed soils release 492 kg less carbon dioxide per hectare per year than conventionally managed soils. Researchers also found that the uptake of methane on organic farms was higher than on conventional farms. Agriculture is one of the major contributors to greenhouse gas emissions, so choosing organic could mitigate the future threat of climate change! Organic agriculture is better for birds, according to a 2013 study from France. This is not a new idea, and many papers have cited examples of the benefits that organic farming plays on bird species. However, the 2013 study is the first complete synthesis of available research examining the relationship between farming practices and bird population health. The researchers focused on birds in Europe and North America to test whether organic agriculture is more favorable to farmland birds compared to conventional agriculture, and found that organic farming techniques benefit birds on a large scale. Researchers found that organic agriculture had a global positive effect on bird abundance compared to conventional agriculture with ten out of the 36 species they examined showing a significantly higher abundance on organic farms than on conventional farms. The study cited “bird-friendly” practices used by organic techniques—such as diverse crop rotations, reduced use of pesticides, and the creation of more heterogeneous landscapes—as being responsible for these benefits. 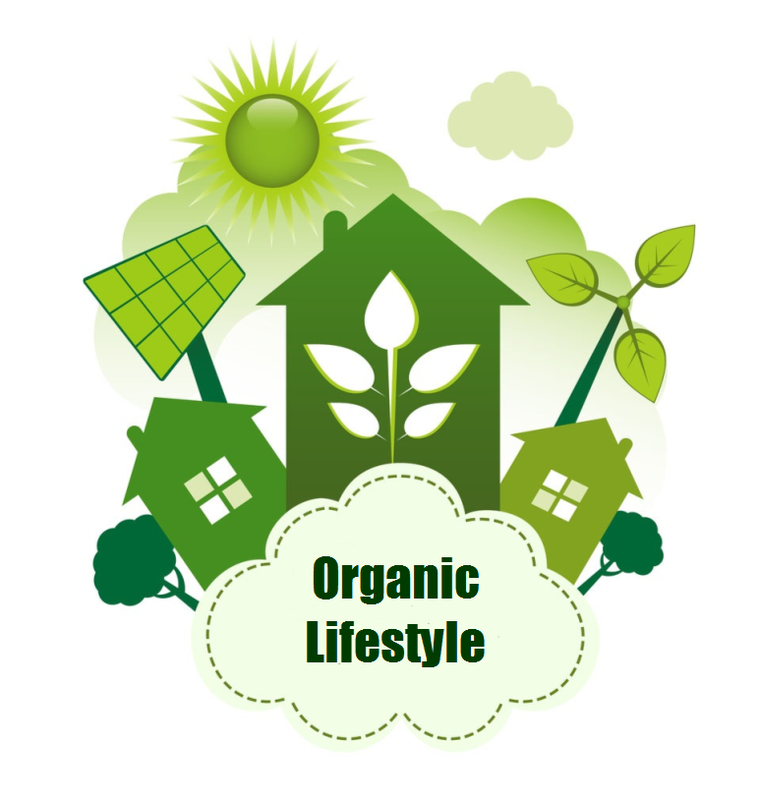 For more information, visit the Web site of the Organic Trade Association. This entry was posted in Food, Uncategorized and tagged health food, healthy, natural food, organic, organic food, organic vegetables, The Organic Center, vegan, vegetarian. Bookmark the permalink. Love this! Thanks for helping to spread the word.